How BVSA Got Started... - bvboys's JimdoPage! In August of 2008, the Johnson family arrived in Guatemala without knowing exactly what they were going to do there. Unlike many missionaries, they were not sent by an organized church or mission organization. Yet they felt the calling strong enough, and it became a matter of obedience. God was calling their family to Guatemala, and they believed He would reveal more after the first step in faith was taken. They had visited Guatemala in April of the same year - the only time visiting before moving there 4 months later. While visiting, Brock met Mynor Leiva. He was one of the first Guatemalans the Johnson's met. Without going into great detail, there was no doubt that the connection was one of those crazy God things – and both of them knew it. As Brock shared his story, background, and desire to use sports to reach kids, Mynor’s face lit up. Already serving as the athletic director at a missionary school, he shared more about his own story. 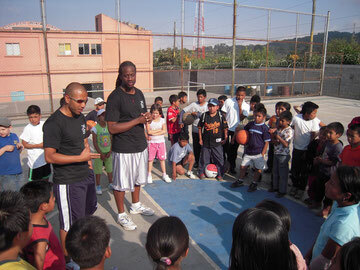 While he was currently using sports to reach youth, his true desire was to be able to focus on the kids growing up in poverty. While he enjoyed what he was doing (coaching soccer and serving the children of American missionaries), his heart was for the poor of his own country, and he hoped to someday start a sports ministry that would reach out specifically to them. Brock and Mynor both sensed a Holy Spirit connection, and began to pray about what God may have for the future. From day one, the Johnson's have felt that their calling to Guatemala would be long-term. Once they arrived, they were eventually led to a specific village and began settling in. Through a new partnership with Journey Church in Jacksonville, Florida, God initiated a home building ministry, the 12x12 Love Project. Through this ministry, the Johnson's were enabled to begin working – serving the poor and building relationships. God has blessed this ministry greatly, and continues to do so. The 12x12 ministry has built over 200 concrete block homes for families in great need. After spending over a year in the community of Buena Vista, the Johnson's learned much about the culture and its challenges. One of the most essential things that they discovered was the troubling nature of the men in the community. As deeper friendships began to be forged, they found that the majority of the men are abusive. It was obvious that the man’s role is clearly one of macho dominance, while that of the woman is primarily preparing food, caring for children, and meeting the man’s sexual needs. While there are some exceptions, it is highly common for the local men (even ones who seem to be better husbands and fathers) to hit their wives and children. In addition, unfaithfulness (which leads to the mass spread of STD’s), and alcohol abuse are major problems. There is little to no value placed on education, which leads to the continued absence of career skills and of employment in general. Overall, these factors often lead to a lazy, abusive, and selfish mentality, which becomes the status quo that is passed from generation to generation. Soon they began sensing God’s hand guiding a new a ministry that would focus specifically on the boys from Buena Vista. Several friends expressed their excitement to support this type of ministry, and before long the “idea” started shaping into more of a reality. 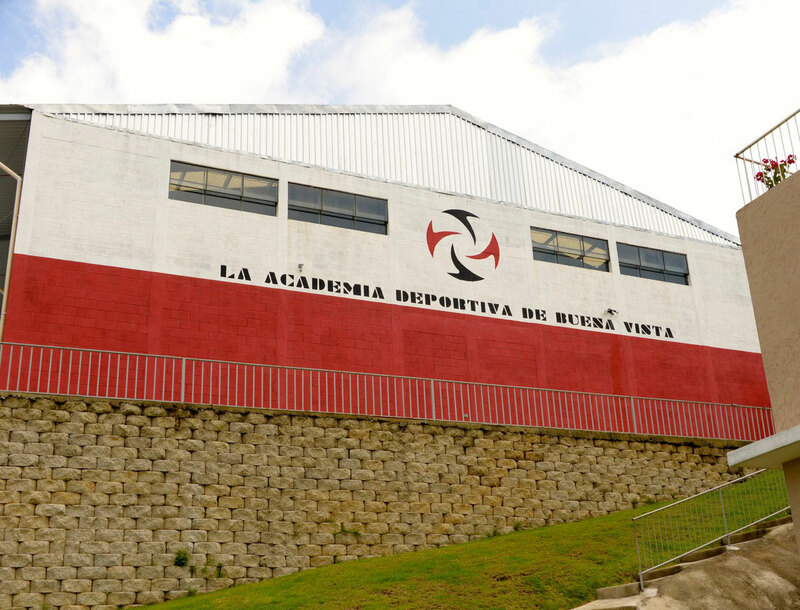 In May of 2011, less than 3 years from arriving in Guatemala, we officially celebrated the beginning of the Buena Vista Sports Academy for Boys. Sports training, education, nutrition, daily devotions, and many other initiatives are all focused towards a greater cause... developing young boys into godly men who will turn this village around. It's the beginning of a dream that we believe has been provided for and blessed with great purpose from our Heavenly Father! May He receive all of the credit and glory today and every day going forward!